As the team leader, Hugh “Scooter” Willey kicked off his early career as a licensed NC builder by building and investing in multiple real estate properties throughout the Outer Banks since 1985. This has brought him not only geographic knowledge of the area, but also contact with community leaders and people with vision. Though his roots were in Chesapeake, Virginia, his love for the sand and sea ultimately led him to Outer Banks of North Carolina. “Some of my fondest memories are of the vacations that I have spent with my family on these scenic, natural barrier islands of North Carolina. I'm proud to call the Outer Banks my home”. Scooter Willey is a successful realtor who believes that it is important to stay on the cutting edge of real estate education to better serve his clients. His current designations include the Accredited Buyer Representative (ABR), Resort & Second-Home Property Specialist (RSPS), and Short Sale & Foreclosure Resource (SFR). Additionally, Scooter will show you practical, valuable techniques for investing in or selling a second home or vacation rental property. “If I am not working with clients, I am either working on the business’ operations or researching market and industry trends in an effort to give my clients an advantageous edge over their competition. Scooter is recognized by his peers as a skillful negotiator with mortgage lenders in successfully closing distressed properties. 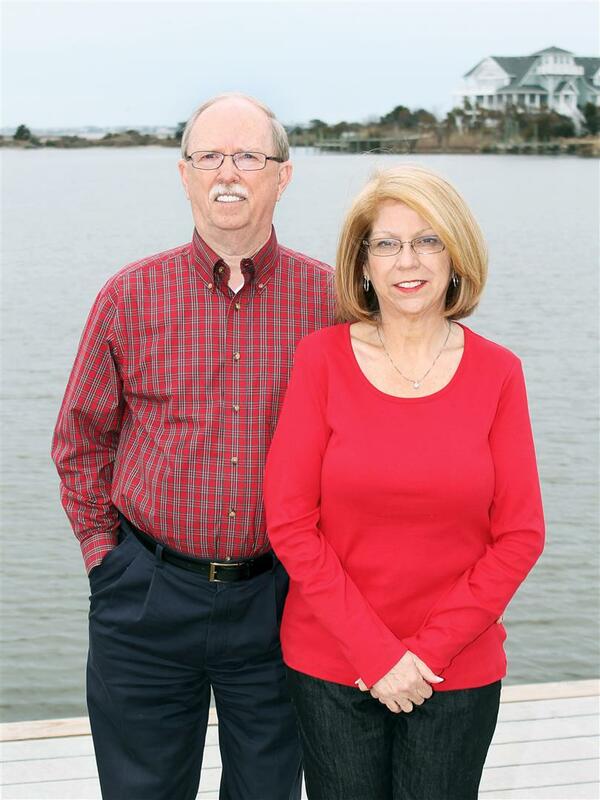 For Gerri Willey, the real estate side of her life began in 2006 when she became a licensed realtor, after retiring as a software engineer from Old Dominion University. Scooter and Gerri decided to marry his real estate investment knowledge of the Outer Banks with her strong technology skills. Gerri’s forte is management of their websites, overseeing their real estate marketing, and escrow coordinator. Remember Samantha Stevens from the TV show, Bewitched? Whenever she wanted something, she simply twitched her nose and the item magically appeared. Well, that is why Scooter refers to his wife, as his secret weapon! She helps to keep everything organized to ensure a “smooth closing” for their clients. As top producing real estate professionals in our community, we are dedicated to providing the finest service available while breaking new ground. Because the real estate industry is becoming more sophisticated and challenging every day, you need a professional that understands the industry and is positioned to stay ahead of the game. Scooter built his real estate team, the Willey Real Estate Group, using the same proven attributes consisting of Service, Honesty, Integrity, and Reliability in all aspects of the Real Estate Market, as he did for 34 years serving the citizenry in the Chesapeake Fire Department at the rank of Battalion Chief. 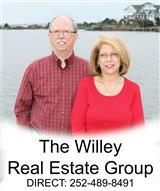 The Willey Real Estate Group makes sure to treat each client as if they were part of the family. Because the service that they provide is so above the ordinary (even after the sale), their clients have become their friends. As a team, they recognize that trust is earned, and they work to continue that tradition every day.